Certainly sounds like Warcraft, but the last trademark reportedly filed by Blizzard – The Dark Below – turned out to be a hoax. 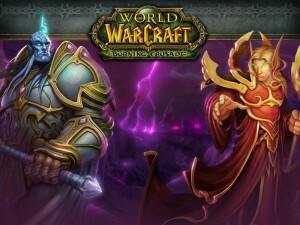 Normally, the titles of expansions have been self explanatory to anyone familiar with Warcraft lore, from Wrath of the Lich King to Mists of Pandaria. Heroes of the Storm is a bit more vague, leading to the need for additional lorecrafting. If not sooner, it’ll likely be confirmed or denied on Day One of BlizzCon 2013 on November 8. We’ll be there with thousands of other fans. Banned from TERA … for life! to Heroes of the Breeze? Appropriately your kinda on right place as of this moment. attempting will respectfully say if you read further. have been was terrible going towards the Nexus, a top notch transdimensional environments. your beta biography section is up to date, and that you’re opted within Heroes of the Surprise tests. many other communicating that hints certainly you will be proven to receive easy access any other brings.